Finishing Line Press, 9781635341775, 28pp. 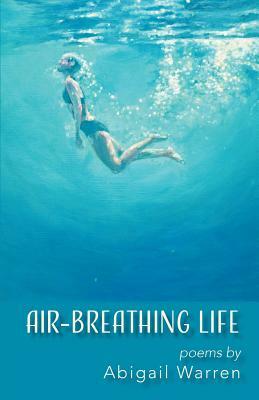 Air-Breathing Life is a not only a field guide to the house sparrow, blue morpho butterfly, and salmon, but also to grief, Catholicism, redemption, and a search for meaning. As Ellen Bass says, the poems are "rich with the natural world--salmon, locusts, summer corn, periwinkles--and humans with their suffering and their absurdity, like the mother who, as she's dying, sends the daughter to the store for 50 cents off the tissue paper. Often Warren's poems reveal the ways in which all beings are surprisingly alike, as in the wonderful title poem, "Air-breathing Life"--a description of sleeping with a new lover who twists, flaps and slaps his tail like a hooked fish while the poet slides an arm in his fin and waits while you adjust/to this air, this life/of yours with me. These are insightful, well-made poems that show us truths about ourselves and the multitude of life around us."